One of the world's oldest insurance companies reduces the development-to-production cycle from eight days to 20 minutes. The insurance provider for the American Automobile Association (AAA) uses Pivotal Cloud Foundry to speed up deployment frequency by over 1,000%. New applications are being deployed at a rate of three times a day. Ideas are being brought into production in just 2.5 days. Break transformation disbelief by building something that works and is better than the current system. 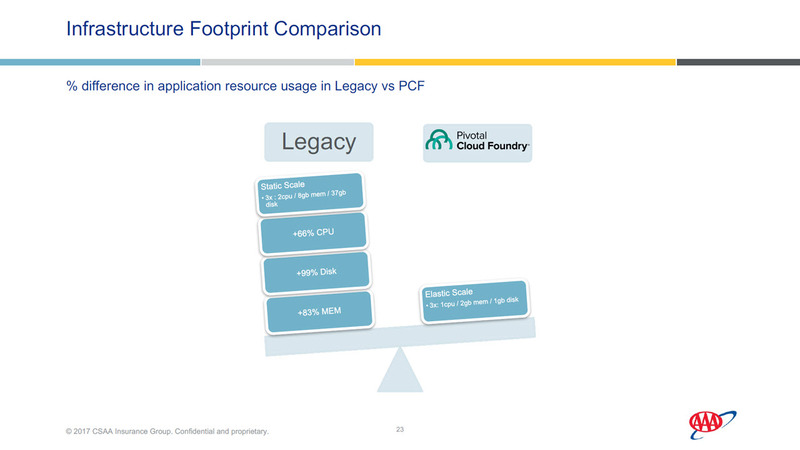 All flagship applications now run on Pivotal Cloud Foundry. CSAA Insurance Group is one of the largest insurance providers in the United States serving over 17 million AAA members. In 2015, the company wrote $3.3 billion in premiums. CSAA Insurance Group can trace its origin all the way back to 1900, where it all started with a meeting between automobile enthusiasts at the Cliff House in San Francisco. The organization began offering automobile insurance in 1913 and homeowner insurance in 1974. Several organizations shared their success stories during the Cloud Foundry Summit Europe 2017. Among these companies is CSAA Insurance Group, an insurance provider for the American Automobile Association, Inc.
Kyle Campos, a Technology Operations Manager, took to the stage and explained how the company began their digital transformation journey back in 2012, and how they are now rolling out new applications within three days using Pivotal Cloud Foundry. In this scenario, deployment of new applications would take at least a week if everything ran smoothly. Patches were rolled on a quarterly basis. All in all, it could be better. The DevOps team at CSAA Insurance began with improvements related to enabling monitoring and analytics, automated testing, and continuous integration with static analysis engines. Next, the most significant change for the team began with collaboration with Pivotal Labs, as Kyle noted. 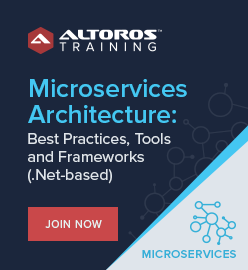 Through these engagements, the organization was introduced to Agile development and Cloud Foundry. 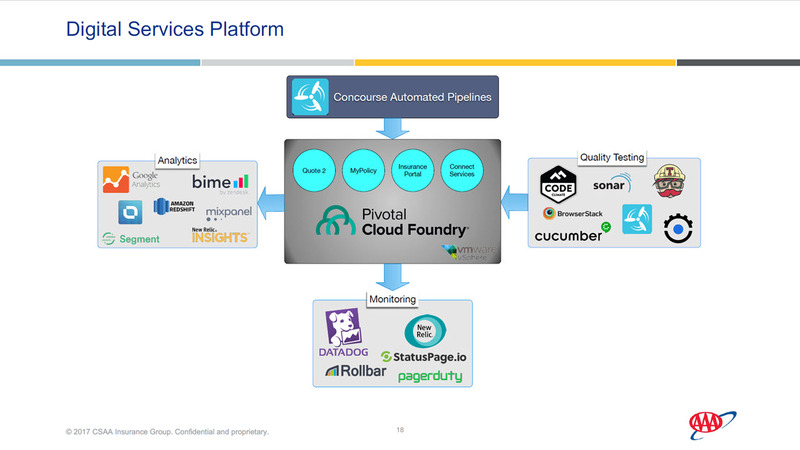 CSAA Insurance’s first foray into Cloud Foundry was with Pivotal CF on-premises. This was quickly shut down before even touching production. In the next attempt, the team made use of Pivotal CF in a public cloud, which was set up within a week. In another few weeks, three foundations were up and running with automated CI/CD pipelines. Though this configuration found success, there were concerns about putting information on a public cloud. This was resolved by setting up Pivotal CF on a private cloud. Though the DevOps team needed three attempts to finally nail down Pivotal CF for CSAA Insurance, Kyle noted that it wasn’t all a waste of time. “At the end of the day, our action in take two forced the conversation,” he explained. 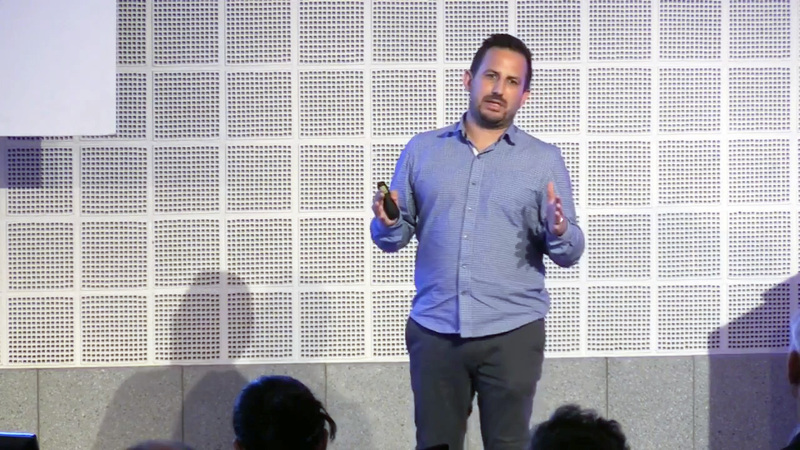 “Without doing that, Pivotal CF would never have happened for us. You have to build the real thing before others are convinced that it’s the right thing. Sometimes you have to put your credibility on the line. Build a new team that can learn new technologies and then teach the old team. Be prepared for rapidly increased development time. Not everyone will be happy with change and transformation. Cloud Foundry will be blamed for whatever goes wrong with the new applications. 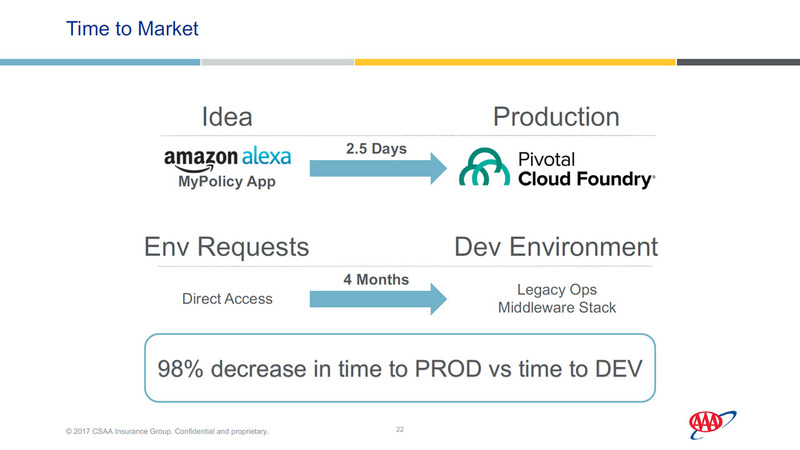 Now that CSAA Insurance is over the Cloud Foundry hump, Kyle and his team are looking at other improvements down the line, including high availability, multi-cloud, and Pivotal Cloud Cache. 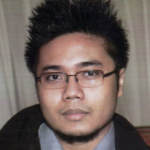 Kyle Campos is a digital transformation and cloud operations leader, who is highly motivated by turning non-scalable, resource-intensive, and painful systems into automated, scalable, and efficient ones. 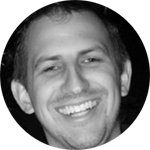 He is a full-stack engineer, who loves attacking challenging operational and infrastructure issues through both organizational leadership and software architecture, specializing in legacy Ops to DevOps transformations in either startup or enterprise contexts. Kyle is currently working hard to deliver to application teams all the promises of a highly available, highly performant PaaS through Pivotal Cloud Foundry.